« Is long hair on boys in style at the moment? By zara | June 2, 2010 - 1:21 pm | June 2, 2010 What will you look like? hey guys i need a compilation photos of a long black emo hair that i can show the hairstyle-r to cut my hair.. where can i find it? thanx in advance! Tagged compilation, hey guys, photos. Bookmark the permalink. 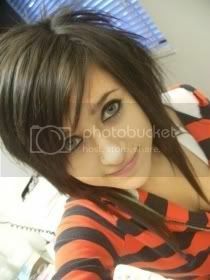 5 Responses to Emo girl Hairstyles Photos? google images ;] deff the way to go. that’s what my friend did @ least. Type it into the search engine on Photobucket.